Dogs are not born as perfect human companions, they need to be shown the way. Having a well-mannered dog is an ongoing process, a relationship of love, trust respect and understanding. Your pet will give all they have to you and in return only ask for your companionship and guidance. What a deal! Our course is designed to cover the basic behaviours necessary for you both to enjoy one an others company at home and for others to enjoy your company when you both travel the world as good citizens. It’s basic training for life. 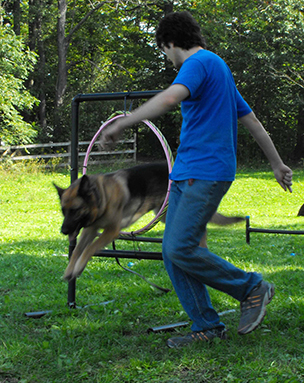 We use tried and true techniques to increase your dog’s rate of learning and offer a program intended to create a firm foundation of respect and caring. When dogs understand what is expected of them and know that they can trust you, their world becomes a safe and friendly place. 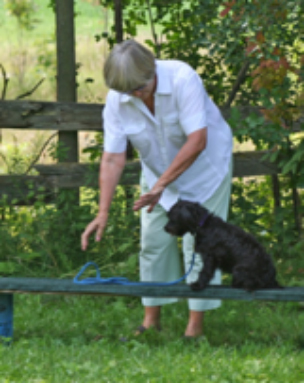 We start with command basics such as sit, laydown etc (see lessons page for more details) and as learning increases, we keep the lessons interesting by incorporating new skills such as climbing, balance exercises, and tracking. These novel experiences help build courage in your dog and create a bond of confidence that underlies the rest of your lives together and can be trusted in an emergency. 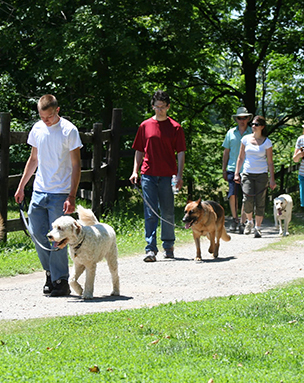 Training starts with your dog’s first interaction with a human being and builds on this. Likewise, every interaction with you and your dog is “training”. It builds habits and an expectation. Because of this, it is particularly important to start training your family companion from the first day they arrive. Whether you are starting with a young puppy or an older dog, as much as is possible, start the way you intend to continue. Training should be understood as an adaptation between you and your dog regarding the terms of your life together and every interaction is “training” because one way or another, one of you is being “trained”. While there has to be a time of adjustment, try to use the same consistent commands and always the same kind but firm tone of voice. 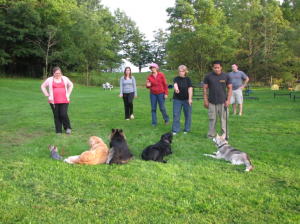 While every dog is different, unless he is a K9 champion the basics class will benefit all dogs that are “new to you”. 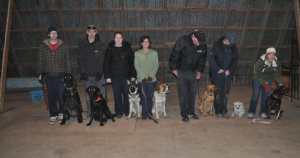 Even if your new mature dog has some commands such as sit and come, the class is invaluable as a safe and informed environment to get to know each other and to find and fix any issues with a professional’s advice and assessment. The sooner your new friend, understands what is expected of them in this strange new place, the sooner he feels safe and the better you get along. Teaching your pet to be a good canine citizen is preferable when he/she is younger but you can teach an old dog new tricks. Most dogs can be trained or retrained at any age, it just takes a little more time and patience for both of you. Just like us, your dog finds it easier to learn new tasks when they are young. It’s not just that a young puppy’s brain is hard-wired for super-fast learning but also that it is much easier to teach a new behaviour than to correct a bad habit. On the other hand, young puppies take a lot more time to develop the basics because the maturation cycle must be honoured. Dogs learn to learn, and the more you teach them the more they grow and adapt and this happens at all ages. Even while we fully understand human behaviour and language there are still miscommunications, so you can be sure that sometimes you and your canine companion do not understand each other but in order to be fair and effective you need make sure that the dog understands exactly what was right or wrong. This is where a trainer can really help you to send a clear message. 1. "Relax and don’t sweat the small stuff.” One bad response is not a disaster, it’s just one bad response among many good ones. We all learn better in a pleasant environment so keep it that way. Every person and every dog has a bad day. Sometimes your dog follows a command perfectly and the next day the response is barely recognizable. It is hard not to think of this as disobedience and it may be, but by overreacting we can make a small problem big. Try not to get irritated, just go back the basics, motivate a more acceptable response then just move on. This is a good time to have a trained unbiased advice available. Often, the next day the problem has fixed itself. You might particularly encounter this around the age of one when nature intensifies the drive toward dominance in the pack. 2. Consistency rules. If every instance of a behavior has a negative response it will extinguish over time, studies prove this. But studies also prove that an animal will work harder for a random positive reward than for a consistent one. The real test is avoiding the occasional transgression, that random positive reward. For example, imagine that your dog is a really good boy, and you two are a happy pack. It’s Friday night and you’re sitting back in a great mood enjoying your best friend’s company. Your dog gets the mood and decides to slide a little more independence into the day but you see it. At this point, who would want to want to spoil the mood with a correction, maybe it’s even kinda cute the way he stole the chicken, your friends laughing. This is the slippery slope we live with and it is the classic path to disobedience. Dogs are smarter than we think and they have such great memories. Never forget when training your dog: the training works both ways.